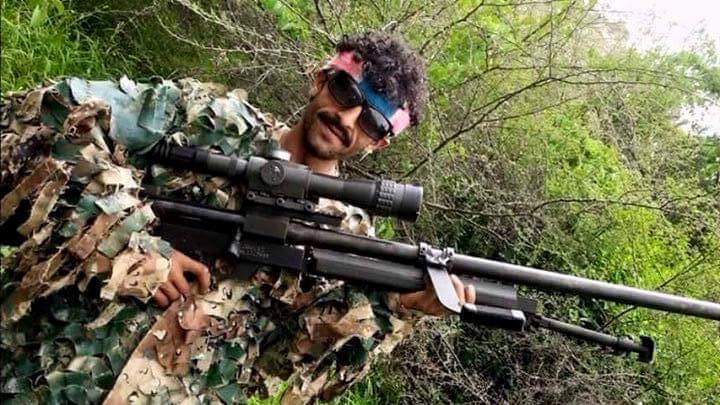 ARES has recently documented Houthi fighters with two models of anti-materiel rifle (AMR) manufactured in Canada and the United States of America, but more recent images posted to social media appear to show a Houthi fighter armed with an Iranian AM50 (Sayyad-2) AMR. Produced by the Iranian state-controlled Defence Industries Organization’s (DIO) Individual Combat Industries Group (ICIG), the AM50 is a single-shot, bolt action anti-materiel rifle chambered for 12.7 x 99 mm (.50 BMG). Further technical information about the AM50 is shown in the table below, taken from a brochure displayed at a past International Police, Safety & Security Equipment Exhibition in Iran. The AM50 was developed after Iran purchased Steyr HS .50 rifles, exported from Austria. The AM 50 is most easily visually distinguished from the HS .50 and the AM50 by its grip and barrel. The Iranian AM50 seems to make use of the pistol grip which ICIG produce for the S-5.56, a copy of the Chinese CQ rifle (itself an AR-15 clone). HS .50 rifles are themselves derived from a Heinrich Fortmeier design developed for Steyr in 2002, now available as the Fortmeier .50 BMG. Whilst the Iranian AM50 features the modified bolt handle and muzzle brake adopted by Steyr in the production HS .50 rifles, the barrel appears to be of an evenly tapered, non-fluted design, more similar to the Fortmeier rifles, rather than the stepped, fluted design seen in the Steyr rifles. The AM50 has been observed in the hands of Iranian, Iraqi and Syrian government troops, as well as non-state armed groups within Syria, Iraq, and Gaza. In early November an AM50 was amongst other materiel, largely Iranian, allegedly captured from Shi’a militia fighters by Jabhat al-Nusra forces in Syria. In 2014 ARES documented the AM50 in the hands of Iraqi government forces, thought to have been supplied through Shi’a militia fighters from Iran. 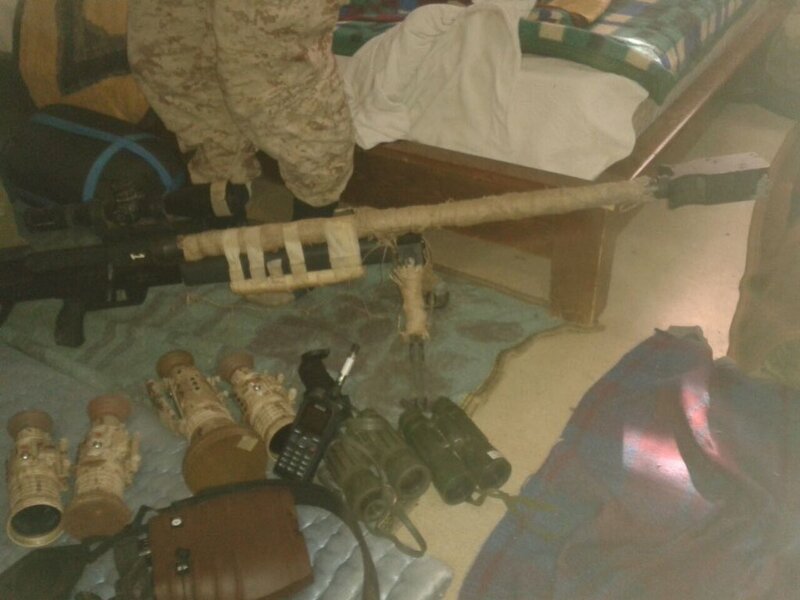 The AM50 AMR, along with a number of Iranian RU-series thermal sights and other equipment, allegedly seized by Jabhat al-Nusra forces in Syria last month. Iran is believed to have provided financial and materiel support to Houthi forces. One vessel seized off the Yemeni coast in September this year was carrying Iranian-manufactured arms, though it was later claimed they may have been bound for Somalia. A similar claim was made of the Jihan 1, an Iranian vessel seized in 2013, also carrying arms. Whilst the most likely avenue of supply for the AM50 in Yemen is direct material support from Iran, limited movement of Shi’a fighters from other conflict zones may also account for the presence of this weapon.